Puerto Morelos Blog: Sand Sculpture in the Works!! Be sure to stop by the beach in front of the Puerto Morelos Town Square! 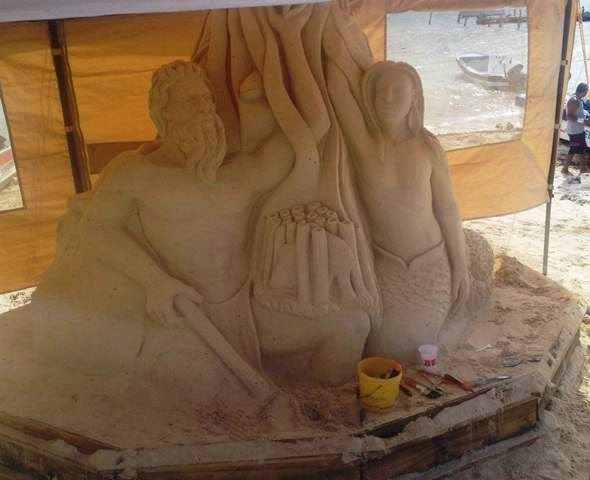 Sand Sculptor, Jose Gonzalez, is working on an awesome piece! It's fun to see the work progress.